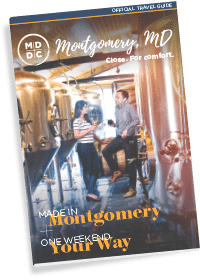 Locals in Montgomery County, Maryland are fortunate enough to have a perfect mix of urban, city life and rustic, country fun. In the same day, you can be dining in a world-class restaurant and shopping a row of big-name stores, then suddenly find yourself kayaking down the Potomac River or hiking a rugged trail. Spend a day and do Montgomery County like a local. Start your day off at Rockville Town Square – an 187,000 square-foot center of life for citizens of Montgomery County. With numerous restaurants, dessert shops, cafés, and retail shops, Rockville Town Square is the perfect example of comfortable city living in the county. Grab food at First Watch, a charming daytime café that offers breakfast and lunch favorites including eggs, pancakes, soups, salads, and sandwiches. Or, have a coffee and carb load at the Vie de France Bakery, which serves a variety of European inspired breads, cookies, and cakes. If you’re lucky and find yourself in Montgomery County on a Sunday, head over to the Takoma Park Farmers Market. Open every Sunday from 10 a.m. to 2 p.m., the historic business district of Takoma Park transforms into a bazaar of the freshest local, seasonal produce, breads, pasture-raised meats, artisan cheese, eggs, baked goods, and more. All products come from farms located within 125 miles of Takoma Park. It’s a lively place for both residents and visitors thanks in part to the street performers who often set up along the sidewalks to entertain everyone. There’s no better way to take on the day than a good hike. Montgomery County locals love the Billy Goat Trail located in the Chesapeake & Ohio (C&O) Canal National Historical Park. The entire Billy Goat Trail is made up of three separate sections – A, B, and C – that start and finish on the C&O Canal. The Billy Goat Trail loop covers 7.1 miles and features forestry terrain, a waterfall, rocks to hop across, a log bridge, and spectacular views overlooking the Potomac River. Bring the right shoes and plenty of water! If the outdoors is not your thing, there is always an exciting event or festival to check out in Montgomery County. 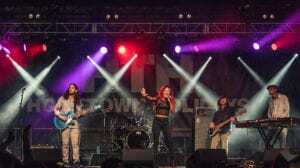 In the fall, don’t miss the World of Montgomery Festival, which celebrates the community’s rich diversity through music, food, dance, arts demos, and more. The highlight of the festival is the Parade of Cultures, featuring African drummers, Latin American dancers, and Asian performers in native dress. During the summer, there is Heritage Days, a weekend-long celebration of the agricultural history of the county. Enjoy hands-on farming activities, farm animals, historic house tours, and the beautiful landscape of the Agricultural History Farm Park! 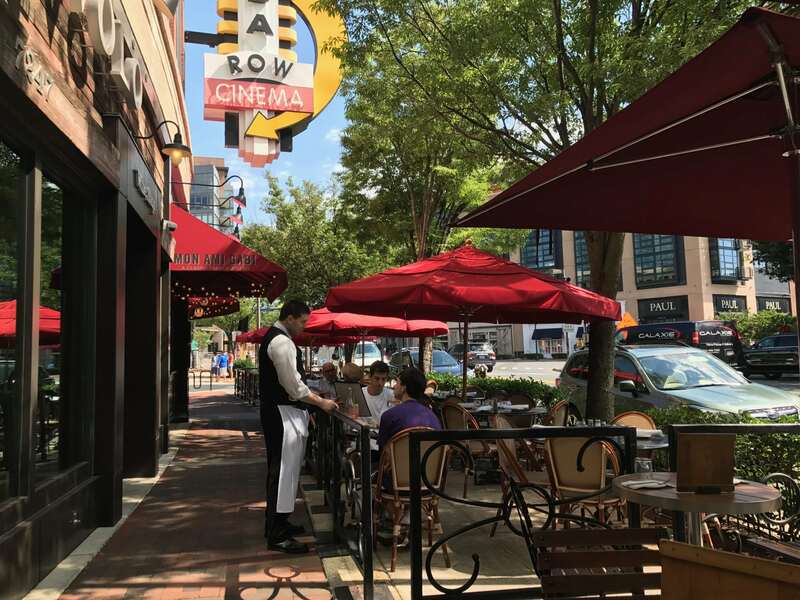 Get some rest and rejuvenation with lunch in Bethesda Row, an urban stretch of dining, shopping, and health and beauty options. One great choice is Cafe Deluxe, which offers made-from-scratch comfort food in a bistro environment. Popular items include grilled meatloaf with spicy Creole sauce, the deluxe Cobb salad, and the fruit cobbler. There is also the Mussel Bar & Grille restaurant for wood-fired dishes of meats, fish, and pizzas, and seasonal salads. For dessert, you can’t miss Dolcezza, a local gelataria that produces small batches of handmade gelato every day. Spend the rest of the afternoon browsing stores like Apple, Bonobos, Kate Spade, Lululemon, the North Face, and Williams-Sonoma. There is no better way to end the day than by slipping on an ice-cold glass of beer. Stop by Denizens Brewing Co., a local brewery in Silver Spring and check out its two-story taproom as well as spacious beer garden. The brewery boast five flagship beers including traditional lager, ale, and Belgian styles, and rotating seasonal selections highlighting its barrel aging and sour programs. Denizens Brewing Co. also serves local mead and wine, as well as an assortment of non-alcoholic options.